We are screening candidates for our Melbourne based web development team. Thanks to a wonderful group of candidates the culling process is proving to be tough. We are grateful to have many good quality candidates keen to work with us on our small business focussed projects. We added to our software development team to enable us to be better resourced in new areas of pursuit. It is a thrill to bring a new voice to the product creation side of the business as it expands our perspective of the world as well as helping us to deliver beautiful products to our customers. The one constant in our business is change, change we pursue through fresh products being driven through the use of innovative tools being worked by a skilled set of professionals. 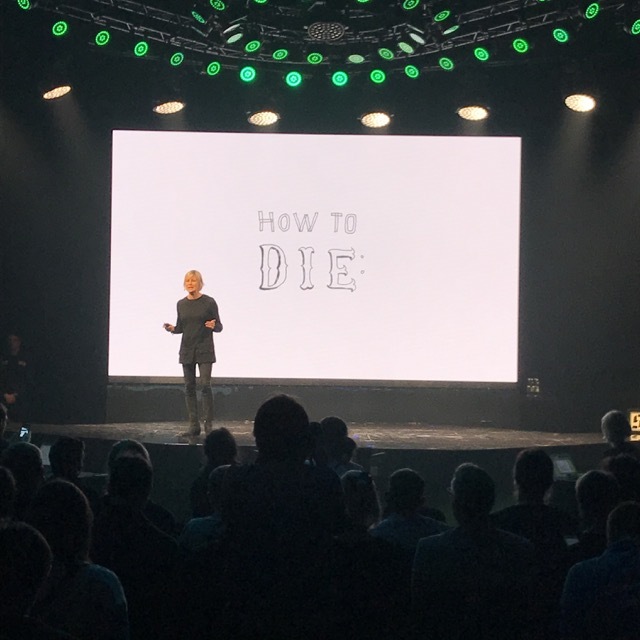 Slush is an extraordinary business conference. There is nothing like it on the calendar, anywhere. 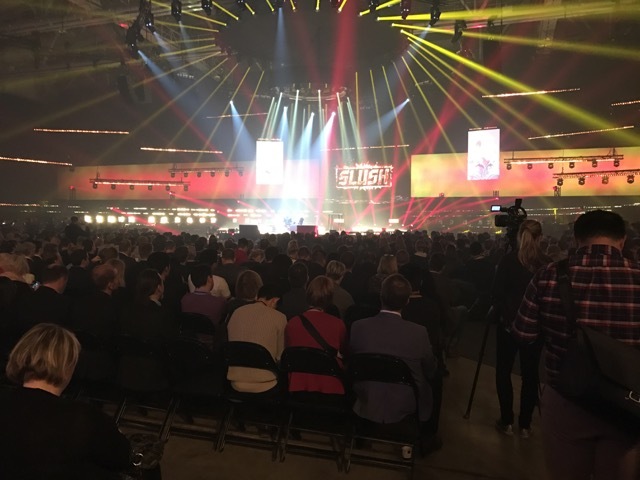 Here in Helsinki, assembled for Slush, are 17,000+ entrepreneurs, business managers, inventors and financiers talking about the future. I am thrilled to be part of such an extraordinary event, for the networking opportunities, for the learning and for the inspiration. How companies like ours do business has changed. Change is the new normal. And I am not talking about basic software update change. No, this is real change at the core. 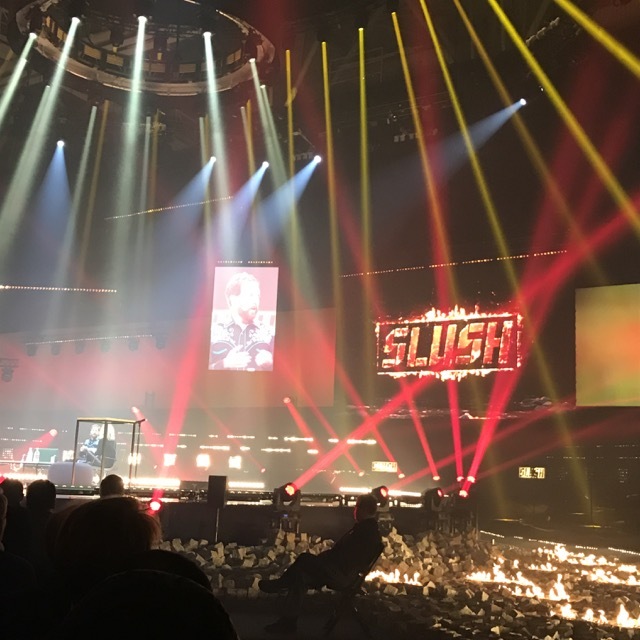 Slush is all about this, leaps occurring across industries thanks to new technologies and new business paradigms. 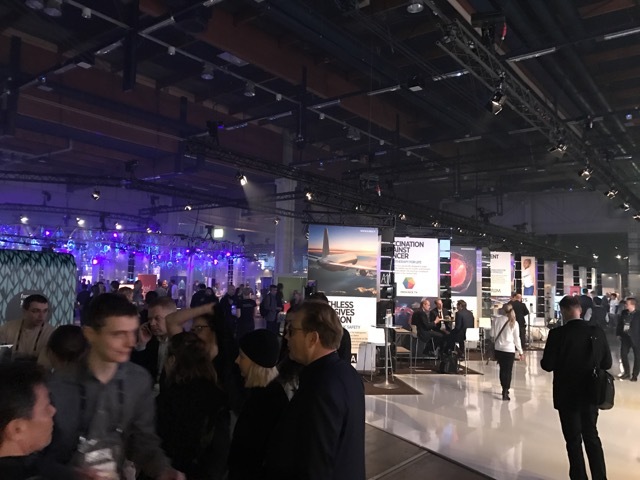 It is a privilege to be at Slush this year as part of a small Australian contingent. This is not the place for us to be specific about take-aways from Slush. However, they are many and we are only at the end of day two – we participated in the pre opening events yesterday. Launching new products this year as we have done, we understand, in a small way, the challenge of the start-up and have an appreciation for many issues involved. Slush is providing us opportunities to explore these and related topics further. 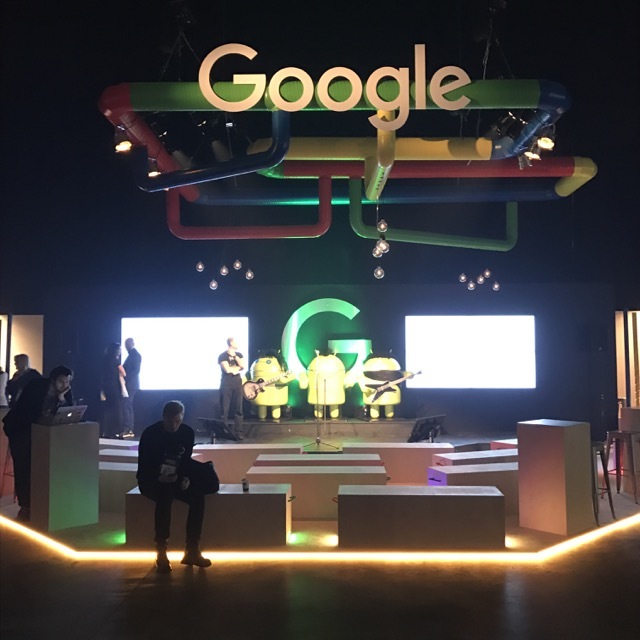 Here are some photos from day one of the main conference. A team from Tower Systems further benefited from participating in the Atlanta Gift Fair last week, networking with small business gift and homewares retailers as well as their suppliers – including suppliers from Australia. Thanks to contact since the show, the benefits are being realised quickly. This large gift fair – representing 7,300 brands – is attended by thousands of retailers. It is the gift and homewares retailers the industry’s largest event featuring the most comprehensive collection of home décor, furniture and gifts. The venue spans multiple buildings and multiple floors in each building – it is many times larger than the largest gift fairs in Australia. This is what makes it an exciting event for us – a real eye-opener. The range of products on show is more diverse and the types of businesses attending is equally diverse. This is why attending has been beneficial for the Tower Systems team as they have been able to expand their horizons as to how our POS software can better serves the needs of growing gift and homewares businesses. We are not detailing takeaways here for obvious reasons. While we welcome the innovation statement by the federal government this week, we think they could have done more in support of Australian owned software companies supporting efficiency improvements for Australian businesses. Take what we do here at Tower Systems – we help small and independent retailers run more efficient, and therefore more profitable, businesses. The economic benefit is considerably beyond the cost of the software. Being 100% Australian owned, long established and self-funded, we would use a benefit, such as a tax break, to invest in more software innovation. This means more jobs and more benefits for our customers. We think this type of support would have a more immediate economic benefit. Indeed, the benefits would be upstream and downstream. We are thrilled our latest POS software is starting a managed beta release. This update is extraordinary in what it delivers. Enhancements go to the core of our POS software. We are excited for customer reactions. Finding retailers keen to participate in the beta program leading up to Christmas was not difficult. Tower Systems is proud of its work with graduates and the opportunity it provides for real-world experiences to further the development of Australians preparing for the work force. We loom for opportunities for graduate roles where we allocate time and resources necessary for real-world experience development in advance of more direct customer roles. Being a full service software company encompassing design, development, UI engagement, testing, training, deployment and follow-up support, we have a broad range of IT skills areas where graduates can learn. Our support for graduates makes us a richer and more diverse company. Crucially, it makes us more aware of cutting-edge trends that can better inform our decisions and the work we do on behalf of ur customers. Being located in Hawthorn places us within easy proximity of several top IT focussed universities. 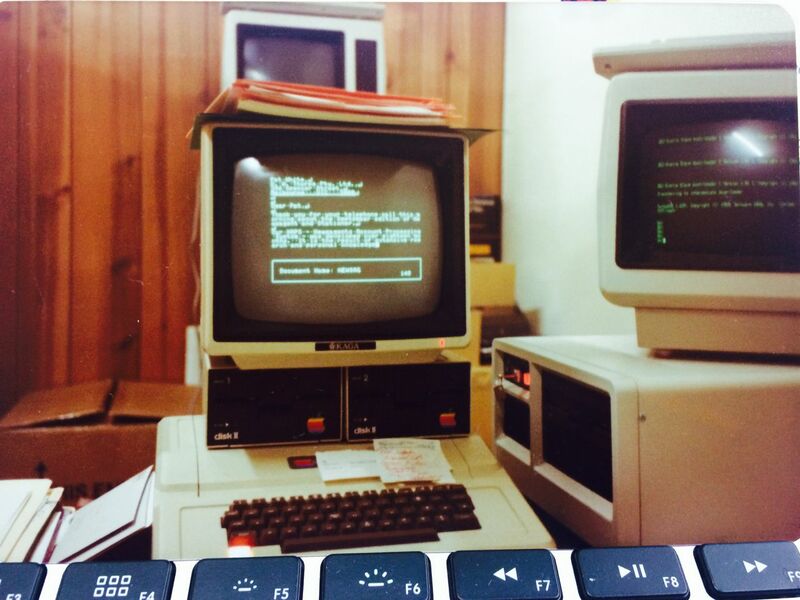 This is where it all began for Tower Systems – back in 1981 – before we sold our first system. This photo shows the first computer in which we started developing small business applications. This tiny Apple II+ with dual floppy drives was our first development platform. It was new and exciting and fun to develop on. While storage on the Apple II+ was limited we made the most of the opportunity to provide small businesses with tools that cut labour intensive data related tasks. 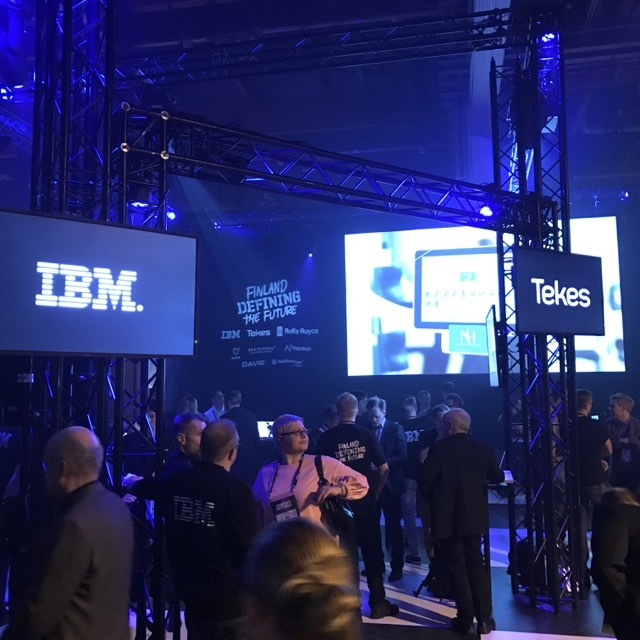 While the software we sell today is generations beyond what we developed in 1981, the principles are the same – to offer our customers software facilities through which they can save time and money and on which they can rely to make better quality business decisions sooner. POS software company Tower Systems takes a professional and inclusive approach to developing key enhancements to its retail management software. 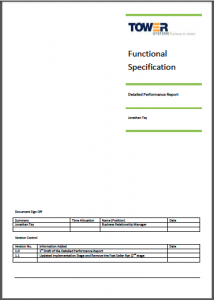 This approach includes preparing written specifications for new functions and major enhancements to existing functions. 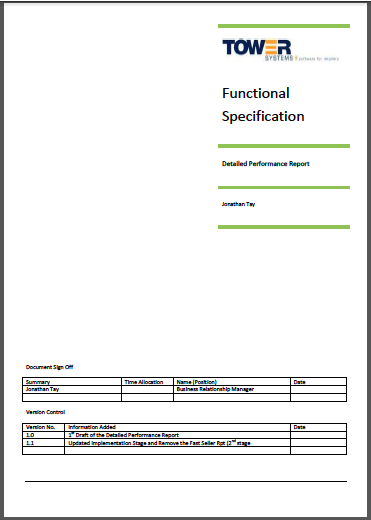 Written specifications are peer reviewed and user reviewed, to ensure that they are a comprehensive as necessary to provide the business case and the technical roadmap to creating the required new facilities and or enhancements. The user review process can also include suppliers to retailers using the Tower software. This can be a drawn-out process given the number of people and businesses involved. the result is better software covering more facilities and delivering better outcomes for customers. Software development is all about delivering access to facilities that are genuinely useful to our customers. The tighter the management of the development of our software the better the solution. Too often, software companies in our small business channels develop software without a plan, without standards and without a vision that includes the vision of the end user. The tower Systems approach to structured software development is a key factor in our sales success and in customer retention success. Tower Systems is set to release a new product for small business retailers. In the final days of QA prior to launch, this new product is cloud based and will be of use to every retailer, offering facilities with which they can more valuably compete. We’re very excited and will share details here in a few days. 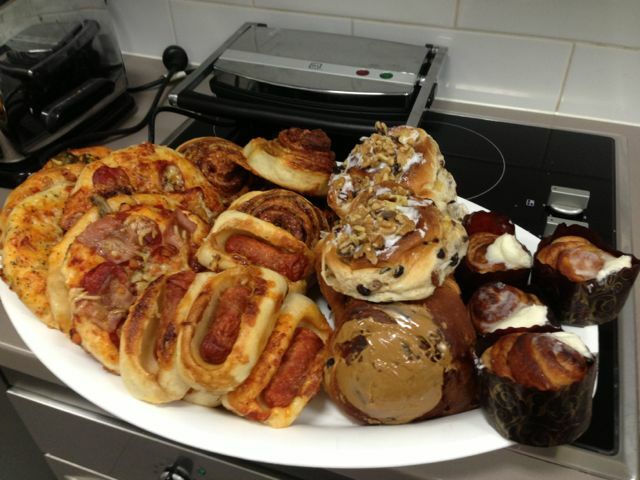 Fifteen years after we started providing free breakfast on a Friday to our team members the tradition continues. The photo shows the selection available today – a mix of savory and sweet pastries fresh this morning from our local Brumbys small business bakery. This Friday breakfast selection is in addition to an excellent range of biscuits available every day and five different blends from our commercial nespresso coffee machine. IT people need to fuel up, on a Friday especially. Point of Sale software company Tower Systems is taking a different approach to educating customers about the benefits delivered through its latest software update. Retailers using the Tower POS software have access to a new video produced to specifically outline five highlights accessible through the latest update. The video is accessible to all customers from the website. A link to the video has also been sent to all customers. In producing the video, Tower is demonstrating its commitment to reaching customers through a variety of mediums and through these getting technnical information to them in a form that is understandable. Produced in house, the video is brief yet valuable. With well our software being used in well over 2,000 retail locations delivering genuinely useful and stable software updates is a key requirement for us. We have a structured process all software changes go through. nothing is done on-the-fly without thorough consideration. New facilities for our Point of Sale software go through a multi-stage design process that takes into account data flow, user interface, functional requirements and code integration. 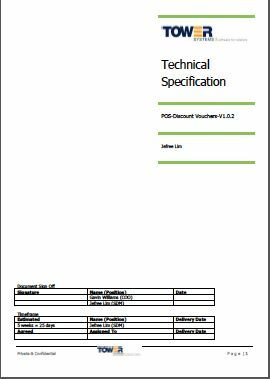 This is always documented prior to a single line of programming code is written, into a professional specification. This specification is reviewed by four points in our business. While this seems like considerable red-tape, the result is valuable enhancements that are useful, well integrated and functioning as intended. Many years ago backyard operators would develop business software without professional specifications. Today, mission critical business software applications require professional design and development. This is what we invest in at Tower Systems. The result is one of the reasons for our growth. A good way to compare software companies would be to compare their design specifications. Those who say they don’t need them ought to raise questions. A new full-time software testing role established in our development team has expanded to QA work we undertake on our Point of Sale software. While we have always had a strong investment in software QA, this new role extends our investment and adds another layer of quality assurance focus to the software we deliver to our customers. This role goes beyond whether new software works. It looks at its usefulness in the retail context. We are drawing on excellent retail skills for this role. With thousands of retailers depending on the quality of our software, we understand the importance of delivering reliable and genuinely useful software. We started in 1981 as a software company and remain focused today on being a software company. Everything we do, all the services we offer, everything we sell all of our capital investment relates back to software development. We have been asked to take on other products for retailers over the years and have rejected them as they stray too far from our core focus on being retail management software specialists. While we connect our software to plenty of other products and services, we leave these to the experts in each field to sell and support. Current and prospective customers can take comfort from our specialisation and our commitment to maintaining this, to enable us to deliver best of breed Point of Sale software … this is at the heart of what we do and a key reason for our market share. We have purchased three software businesses so far this year. With two we continue to support these software packages while with the third we have digested the technology for another project. Over the last month owners of two more software companies looking to sell their respective businesses have approached us. Like any business, scale is vital to the financial health of a software company. To maintain and enhance software developed for a specific marketplace you need between 300 and 500 active customers. The exact break even number depends on the investment to maintain relevant software. The two most recent offers put our way are from businesses with user numbers below the benchmark. With significant changes ahead they can’t fund what would be necessary to be relevant. While we respect that small business owners like to deal with small businesses, that is not practical when it comes to IT where significant investment in product development each year is vital. Friday is an important day in the usual Tower Systems week as it’s the day we have more team members in the office. We catch up on the weeks numbers and activities, we plan for the next few weeks out, we discuss soft are enhancements in the context of the week’s events and we have a good breakfast put on by the company. With so many of us on the road through the week installing systems, delivering training and selling, Fridays are ideal for bringing us all together. It’s a reason to like the day. While we are a larger software company, with 2,500 customers, we are a small business at heart. Being in touch with each other is vitally important for that. Our various meetings and rituals for a Friday are done without impacting customer service … responding to help desk calls remains the most important activity we perform. We released another software update last week delivering user requested enhancements to LayBys, invoice arrivals and barcode management (and more). This latest update continues the trend we have established for 2012 of releasing regular updates to enhance the capabilities of our software and to extend the value our customers access from their relationship with us. As with all of our software updates, this latest update has gone through a structures quality assurance process, passing a range of checks and tests to ensure that it meets benchmarks prior to commercial release. 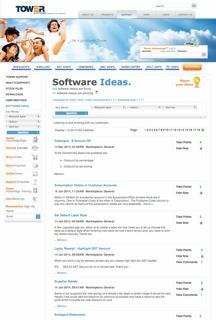 The Software Ideas service we launched in March 2009 inspired by the What Would Google Do? book by Jeff Jarvis continues to deliver benefits to our customers and to us. This year alone, we have released a raft of software enhancements which have been put to us through Software Ideas. We have more in the pipeline too. User submitted ideas plus those we create for ourselves as well as changes requested by supplier partners make up the broad and valuable mix of enhancements we deliver in our Point of Sale software in every update and every update makes our software more valuable. Software Ideas remains unique in our marketplaces, a benchmark of leadership … if we do say so ourselves.